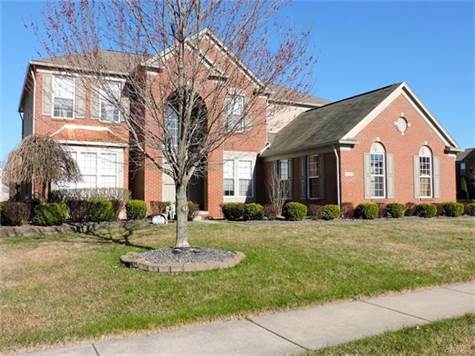 Look at this 4 bedroom two story home on a corner lot with a great room, formal dining room, living room, den, 3 full baths, two half baths, finished basement and a three car attached garage. A spacious great room with cathedral ceiling and gas fireplace. Large kitchen with hardwood floors, granite counter tops, stove, dishwasher, microwave and double s/s sink with disposal. Two half baths on the first floor. Formal dining room. Second floor laundry room. Huge master bedroom with large walk in closet. Master bath with whirlpool tub and separate shower. All bedrooms upstairs have access to a full bath. Finished basement with a bar/kitchen area with refrigerator, dishwasher and double s/s sink with disposal. Brick paver patio. Corner lot. Central air. Three car side entrance garage.